Japanese superstar HOTEI returns to Europe in April 2017 with live dates scheduled in Netherlands, Germany, Switzerland and Belgium, playing in many cities for the very first time. My career started from playing in small clubs in Japan, and we built it up to the level where I was able to play in front of stadiums full of screaming fans. And now, I’m opening the door to the world, starting again from playing small clubs in new, unfamiliar places. Back to basics, never lose your ambition even in your success―that’s my philosophy. One step at a time with your own steps, that’s the only way to achieve your dreams. I can guarantee you that you will be up on your feet dancing once you hear me play live with my amazing band, even if you are not familiar with me. Those who are bored with experiencing live performances with no soul will be surprised at how refreshing it is to see a real ‘live’ performance! I am really looking forward to meeting as many people as possible on this Euro tour! If you can’t connect with the soul of the audience in front of you, there’s no chance to grab the hearts of thousands! Hotei celebrated his 35th anniversary in music in 2016 with a new “Best of” album release and an extensive touring schedule in Japan, with 57 dates across the country. The shows ranged from intimate club shows, to a free open-air concert in his hometown in front of 25,000 fans and finishing the year with his 40th performance at the Budokan in Tokyo on December 30th, where Hotei performed 35 songs to celebrate his 35 years in music. Hotei also found time in 2016 to continue building his international profile, striking up a personal and professional relationship with Italian superstar Zucchero and performing on his latest, platinum selling, album “Black Cat”. Hotei and Zuccchero performed live together several times in 2016, including Zucchero’s first ever performance in Japan at a special event in Tokyo, and at headline shows at the Royal Albert Hall in London and Arena Di Verona in Italy. That special relationship has continued into 2017 with Hotei joining Zucchero on stage at the prestigious San Remo Festival in Italy in February, a major TV performance viewed by millions. 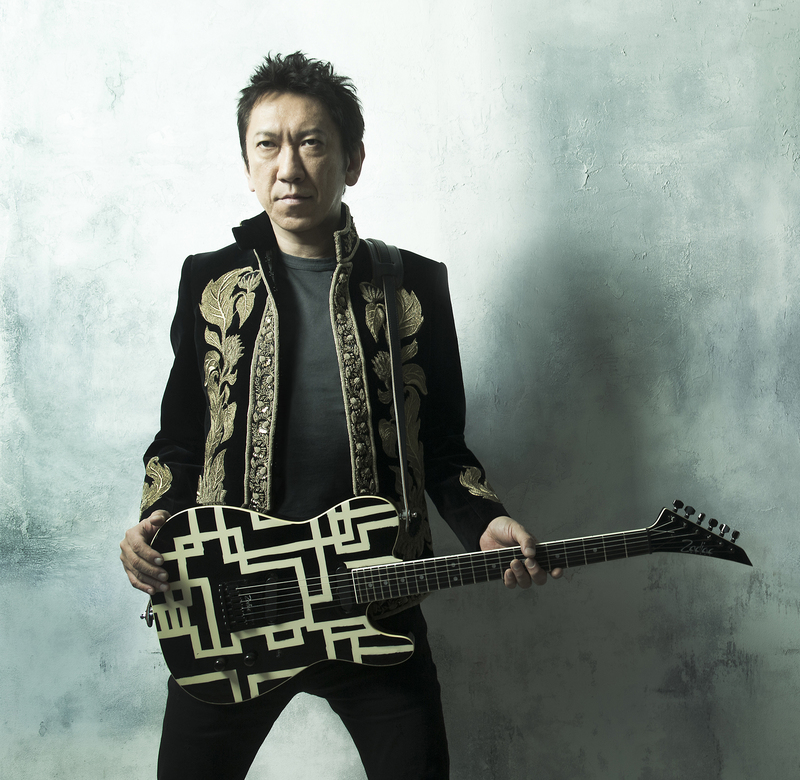 Also in 2016, Hotei released singles with godfather of punk Iggy Pop and Richard Z. Kruspe (from Emigrate/Rammstein) from his critically acclaimed debut international album, “Strangers”, and performed his first-ever LA show at the legendary Troubador, returned to the Highline Ballroom in New York, and performed headline dates in Amsterdam, Paris and Berlin. Hotei released his debut international album, Strangers, in 2015 through Spinefarm Records, a subsidiary of Universal Music. The album features an array of guests including the godfather of punk Iggy Pop singing on two songs, Emigrate/Rammstein’s Richard Z. Kruspe, Bullet For My Valentine’s Matt Tuck, Noko from UK electronic band pioneers Apollo 440, and acclaimed Texan singer Shea Seger.